LDL (or bad) cholesterol is a cholesterol that if elevated is dangerous to health. Discover the normal values of LDL and why it increases. There is no doubt that high cholesterol levels are certainly bad and harmful to health, because although it is a fundamental element as essential for the proper functioning of our body (for example, it is vital for cell formation or activity neuronal), when both total cholesterol and LDL cholesterol are high, pose a health risk. Different are the virtues that, for health in general, has the so-called as HDL cholesterol (also known as good cholesterol). A type of cholesterol that helps in a very positive way when removing cholesterol from the blood, which in turn prevents the accumulation of fat and the formation of plaque. And is that having high LDL cholesterol is associated with an increased risk of cardiovascular disease, since it adheres to the walls of blood vessels, so that narrows and multiplies the risk of stroke or heart attack. What is bad cholesterol or LDL? Bad cholesterol (or LDL cholesterol) is a lipoprotein formed by lipids (fats) and proteins, whose main function is to transport liquids so that the function of LDL cholesterol is to transport cholesterol from the liver to different organs and tissues. That is, it consists of a low-density lipoprotein, which fulfills the function of transporting cholesterol, triglycerides and other fats or lipids to different parts of the body through the bloodstream. However, it is a type of cholesterol that, when there is too much in the blood, tends to accumulate in the arteries forming plaques known as atheromas, so that they can become dangerously obstructed. Given that high cholesterol does not tend to produce symptoms until there is a cardiovascular or cerebrovascular accident, there is no doubt that it is most appropriate to have a blood test regularly, since it is the only way we have to know if our fat levels in the blood (not only cholesterol, but also triglycerides) are adequate, or however they are above what is advised and considered as healthy. We must keep in mind that high cholesterol or hypercholesterolemia is diagnosed when total cholesterol levels exceed 200 mg/dl. ; or also when the LDL levels are higher than 130 mg./dl. or those of HDL is less than 35 mg/dl. in men and 40 mg/dl. in women. Why does bad cholesterol increase: what are its main causes? 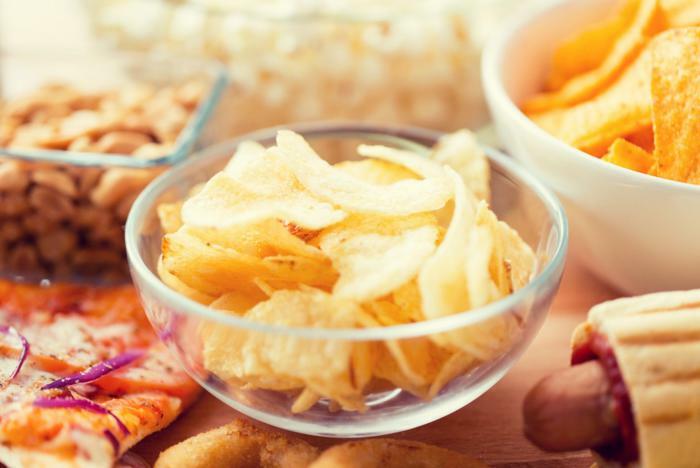 One of the main causes of high cholesterol is found in an abusive consumption of foods rich in saturated fats, such as: whole milk (milk, cheese and yogurt), butter, margarine, sausages, animal lard, red meat, salty snacks, hamburgers, industrial pastries and certain oils such as palm and coconut oil. Another cause is found in high levels of stress, as shown by the latest scientific studies. And is that having stress or anxiety is usually in most cases linked to the consumption of junk food, together with an abuse of alcoholic beverages and snuff. There are also other causes that can directly and indirectly influence having high cholesterol levels. We distinguish: age, overweight, not exercising regularly, as well as kidney or thyroid problems. Nor can we forget about the so-called genetic cholesterol, a condition known medically as familial hypercholesterolemia, which means that the person has inherited a normal gene and a defective one that produces a heterozygous hypercholesterolemia. This causes cholesterol levels to increase twice as much as normal. There is a more serious variant, which occurs when the two defective genes are inherited. In these cases, the cholesterol increases between 4 to 5 times above normal. Did you know that high cholesterol levels do not produce clear symptoms until it is too late? When the fat accumulates little by little in our arteries and veins it can obstruct them, in a way that restricts the correct circulation of blood to our heart and to the rest of the organism. As a consequence of the lack of blood supply to the brain, a cerebrovascular accident can occur, while the lack of blood supply to a part of the heart can result in the appearance of angina pectoris, as well as ending with the passage of time. in coronary diseases, which can translate into a heart attack. It is associated with an increased risk of cardiovascular diseases. It adheres to the walls of blood vessels, narrowing them. Multiplies the risk of heart attacks or strokes.